McCullough & Associates, LLC is an innovative and progressive firm with a knowledgeable and experienced staff. With more than 100 years of combined experience, you can trust your financial needs to us, and you can expect accurate, timely results. Our team-based approach ensures that our diversified team of skilled professionals not only work closely together to help clients reduce their tax liabilities, but to also help them develop sound financial and business strategies. Terry has more than 40 years of accounting experience, with an emphasis in taxation. He specializes in business management, tax advising, cashflow planning, financial projections, and small and medium-sized business successions. Terry has experience in providing tax services to transportation, banking, wholesale and retail distribution, service businesses, construction and land development, and a variety of others. Terry received a Bachelor of Science Degree in Accounting from Missouri State University. He has previously worked in the Assemblies of God accounting department, and he was a partner in a regional accounting firm in Springfield, Missouri before establishing his own CPA firm. Terry established McCullough and Associates, LLC in 1992. He is a member of the Missouri Society of Certified Public Accountants and the American Institute of Certified Public Accountants. He has been a board member of both the Greene County Heart Association and the Greene County Estate Planning Council. When away from the office, Terry enjoys golfing, fishing, being at the lake, and spending time with his family and friends. Jim has more than 35 year of accounting experience, with an emphasis in tax preparation and tax planning for businesses and individuals. He specializes in business management, tax advising, cashflow planning, financial projections, and small and medium-sized business successions. 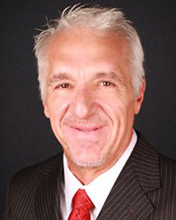 Jim has experience in providing tax services to a variety of industries including, but not limited to, auto dealerships, transportation, banking, wholesale and retail distribution, service businesses, construction and land development. Jim received his Bachelor’s Degree in Accounting from Missouri State University. Prior to joining McCullough and Associates, LLC in 2017, Jim served as the managing shareholder for a large regional accounting firm in Springfield, Missouri. Realizing how much he missed taking care of his clients personally, helping them with their taxes, and working towards their financial goals, Jim joined McCullough & Associates, where we greatly value personal, hands-on relationships with our clients… something that Jim realized he had missed that comes with being at a smaller firm. Jim is a member of the Missouri Society of Certified Public Accountants and the American Institute of Certified Public Accountants. He is also a member of the Financial Planning Association. Jim currently serves as a board member for Cents of Pride and Lost & Found Grief Center. 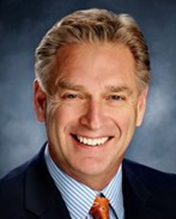 He is a former board member of the Springfield Business Development Corporation and a former board member (past president) of Ozarks Food Harvest. In his spare time Jim enjoys spending time at the lake with his family, working out, and cheering for the St. Louis Cardinals and St. Louis Blues. Diane is a Certified Public Accountant with 20 years of experience in taxes and accounting. She specializes in business management, tax advising, cashflow planning, financial projections, payroll administration, and small and medium-sized business successions. Diane has experience in providing tax services to transportation, banking, wholesale and retail distribution, service businesses, construction and land development, and a variety of others. She received a Bachelor's Degree in Accounting from Missouri State University, and has been with McCullough & Associates, LLC since 1999. Diane is also the firm's staff manager. Diane is a member of the Missouri Society of Certified Public Accountants and the American Institute of Certified Public Accountants. In her free time, Diane enjoys spending time with her husband and children. Sandra is a Certified Public Accountant as well as a Certified Fraud Examiner with 29 years of experience. Her expertise spans many areas of taxation, and she has provided expert witness assistance to attorneys and the U.S. Government. She has also utilized her skills as a Certified Fraud Examiner in a range of fraudulent situations. 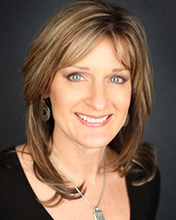 Sandra has been with McCullough & Associates, LLC since 1998. Sandra attended University of Missouri- Columbia, where she received a Master’s Degree in Accounting and a Bachelor’s Degree in Political Science. Sandra has served on the Missouri Society Estate Planning Committee and presented accounting topics to several various organizations. She is a member of the Missouri Society of Certified Public Accountants, the American Institute of Certified Public Accountants, and the Association of Certified Fraud Examiners. In her free time, Sandra enjoys cooking. 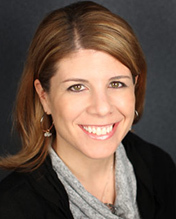 Meagan joined McCullough and Associates, LLC in 2013. She is a is a Certified Public Accountant and received her Bachelor’s Degree in Accounting from Missouri State University. Meagan specializes in providing accounting, bookkeeping and payroll administration services as well as tax preparation. In her spare time, Meagan and her husband enjoy outdoor activities, especially fishing and hunting, and spending time with their families and friends. She and her husband welcomed their first child, a little girl, in 2018. Taylor joined McCullough and Associates, LLC in 2013. He is a is a Certified Public Accountant and received his Bachelor’s Degree in Accounting from Missouri State University. Taylor specializes in tax preparation and accounting services for individuals as well as businesses and trusts. Outside of the office, Taylor enjoys spending time with his family and friends and doing CrossFit. Tracey is the firm administrator at McCullough and Associates, LLC. In addition to her role as firm administrator, Tracey also has over 30 years of experience in bookkeeping and payroll administration working hands-on with many of our clients over the years. 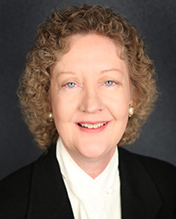 She has been with McCullough and Associates, LLC since its inception in 1992. In her free time, Tracey enjoys working out, traveling, and spending time with her family. 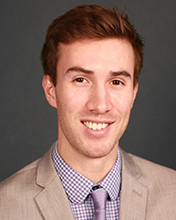 Taylor joined McCullough and Associates, LLC in 2013. She specializes in accounting, bookkeeping and payroll administration services as well as tax preparation. She graduated from Missouri State University with a Bachelor’s Degree in Accounting and a Master's Degree in Business Administration. When not at the office, she can be found spending time with family and friends, and doing CrossFit. Savanna joined McCullough and Associates, LLC in 2017 as our receptionist. She has since joined our tax and accounting team where she provides bookkeeping and payroll services as well as tax preparation. In her spare time, Savanna enjoys spending time with her family and friends. 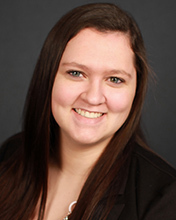 Brianna joined McCullough and Associates, LLC in 2019. She provides accounting, bookkeeping and payroll services as well as tax preparation. She graduated from Missouri State Univeristy with a Bachelor's Degree in Finance with an emphasis in Accounting. When not at the office, she can be found doing anything outdoors, especially hiking. She also enjoys reading, traveling, and spending time with her family and friends. Lori joined McCullough and Associates, LLC in 2018. As our receptionist, she will be the voice you hear when you call as well as the person who greets you when you visit our office. In her spare time, she can be found spending time with her two sons, hanging out with friends, and traveling. Copyright 2019 McCullough & Associates. © 2019 McCullough & Associates, LLC All Rights Reserved.